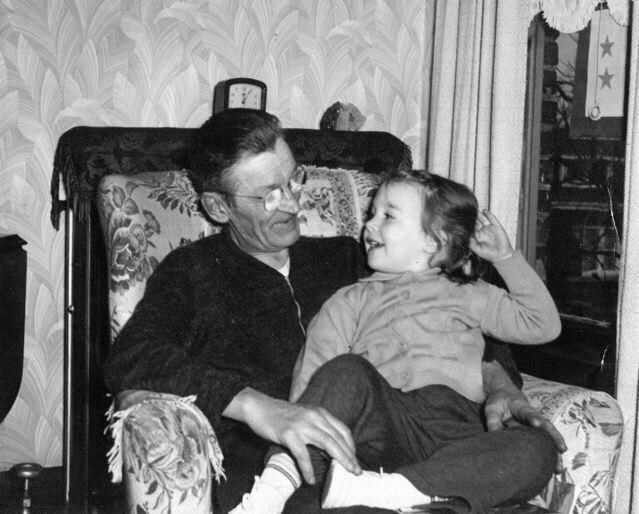 Our father Bill Muster became an orphan at age nine and after a short stay in an abusive orphanage in Chicago, Ed Miller (our father's older half-brother) heard about the abuse and removed him and got him into a foster home agency. 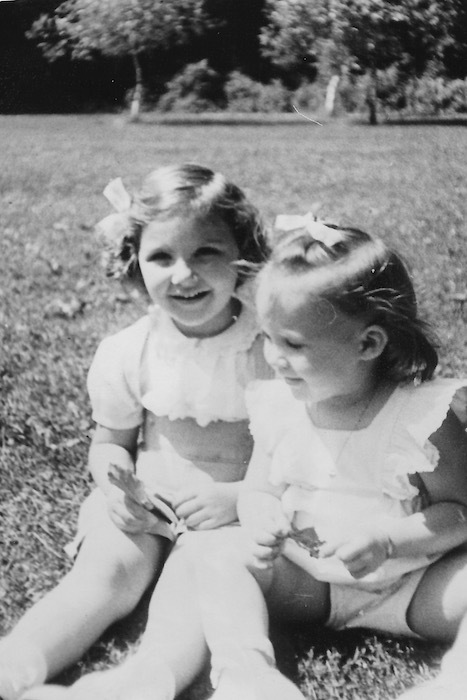 The agency took donations from wealthy families all over the country and sent children to live with them for one year. My father was always disappointed to be sent back, and didn't understand there was money involved. I estimate from age ten to eighteen, he lived in four to five different foster homes. As an adult, Dad claimed he didn't know what religion he was because he had grown up with Lutherans, Jews, and Catholics. The last foster family, the Molitors, kept him for several years, ages fourteen to eighteen. 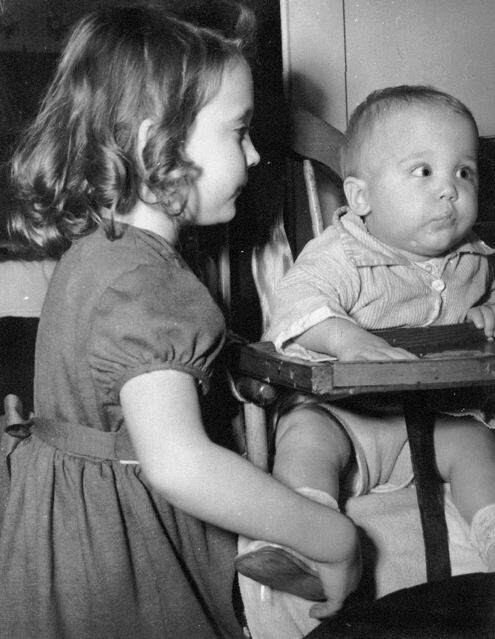 Our father stayed in contact with the Elsie and Charles Molitor, and Bill Tanzer, one of the other children who lived with the family. Because there was already a Bill, they called my father Bob. The Molitors were generous people who wanted to stay in contact with the children they raised side-by-side with their own children. I recently discussed this history with Bill and Anita Tazer and have also been in contact with Carole Preacher, granddaughter of the Molitors. 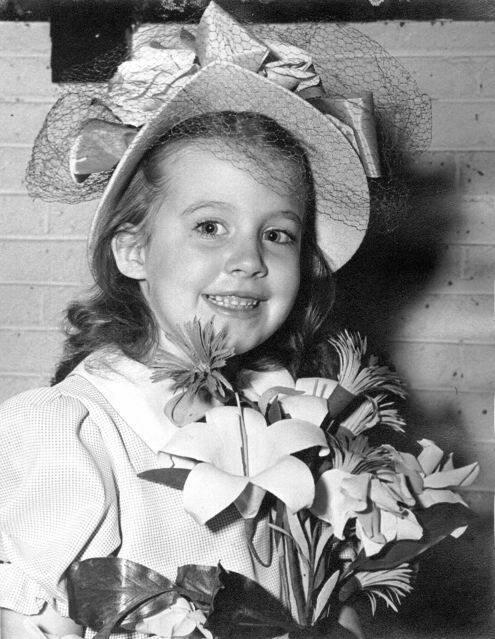 She remembers our father as Uncle Bob, and provided photographs that her Uncle Bob took of her and her family in the 1940s. She recently sent the photos, which she has kept all these years. 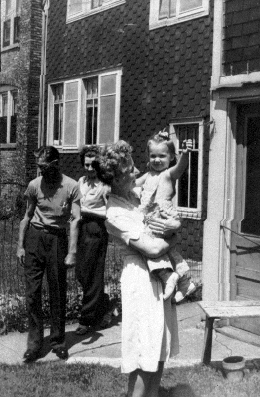 The photos show Carole and her little sister Joyce, Carole with her mother and the Molitors in front of the Mozart Street apartment that was the foster home, a portrait of Carole, and Carole with her grandfather. Notice in the last photo that the banner in the window shows two stars, meaning that two sons in the family were serving in World War II (Bill Tanzer and Bill Muster). Our father Bill Muster (1926-1989) also remembered staying with a foster family that took him to Lake of the Woods, Canada. Although our father stayed in contact with this family and took my brother to visit them in Canada, and our mother also remembers meeting them, I am not in contact with the family, but would appreciate hearing from them. 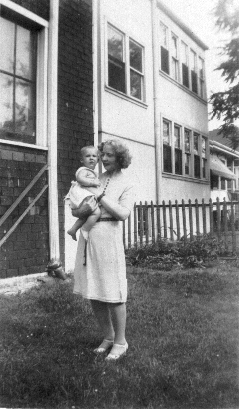 My brother and mother remember them, but cannot remember their names. Since he was between the ages of eleven and fourteen, it would have been sometime between 1937-1940. The photos below turned up in a box of Bill Muster's photos. Carole Preacher and a cousin. Photo by Bill Muster, c. 1940s. 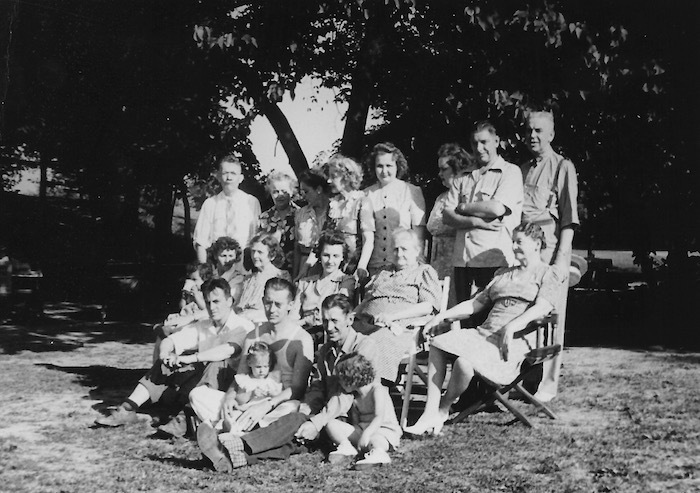 The Molitor family of Chicago. Unknown year, c. 1940s. 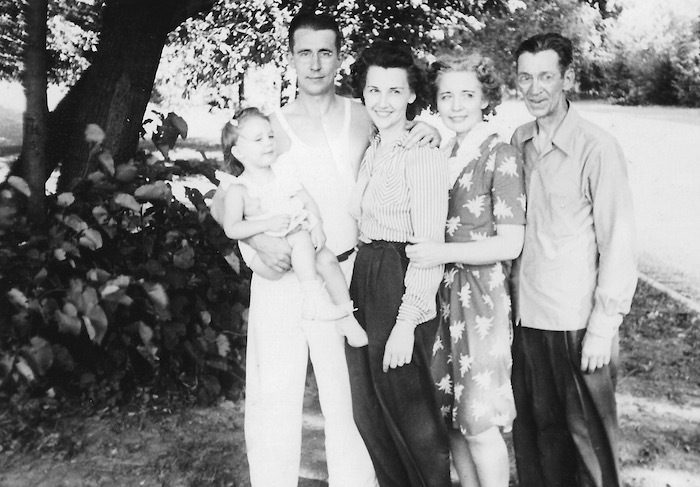 The Molitor family in Racine, Wisconsin, c. 1940s. All photos by Bill Muster.